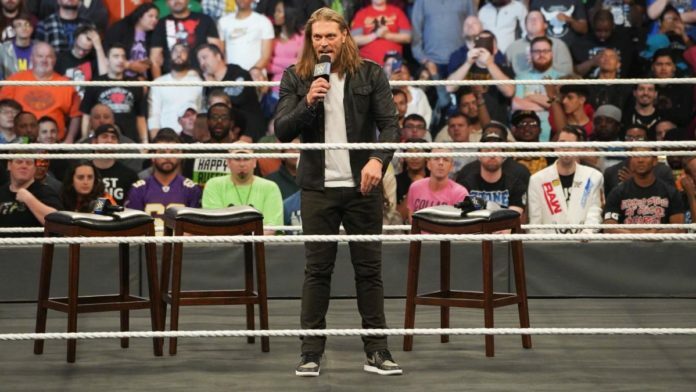 Recently, WWE Hall Of Famer and former World Champion Edge was interviewed by “Inside The Ropes.” With the Royal Rumble right around the corner, “The Rated-R Superstar” was asked about some of his favorite Rumble memories. Edge noted how the stories that develop during the course of the match is what helps make it so special. He also made a very interesting revelation. “I think that’s the key, if you’re one of the pieces of thread through the Rumble, then yeah, it makes for a more difficult, challenging night. But that’s what you want to be! “I always loved if I was gonna get to be #2 and be in there at #22, because that means, at some point every talent is going to go through you and you’re basically going to be in there for the greatest hits as every character rolls through. The 45-year-old has a Royal Rumble victory under his belt. He was the winner of the 2010 Rumble and went on to challenge Chris Jericho for the World Heavyweight Title at WrestleMania 26. Unfortunately, he wasn’t able to beat “Y2J” for the title that year. However, after 11 World Titles and being part of one of the greatest tag teams of all time, Edge was forced to retire in 2011. He was inducted into the Hall of Fame the following year. What do you think about Edge preferring to enter Royal Rumble matches early?